(Jan. 27, 2017) U.S. Rep. Earl Blumenauer joined Mayor Ted Wheeler, Transportation Commissioner Dan Saltzman, former U.S. Rep. Darlene Hooley, officials with Oregon Health & Science University and Doppelmayr USA and community members to celebrate the 10th anniversary of the Portland Aerial Tram. Since it launched Jan. 28, 2007, the tram has been a catalyst for the local economy by enabling the growth of housing and bioscience jobs on a former brownfield site. The tram provides an essential public transit link between OHSU’s Marquam Hill and South Waterfront campuses. Before the tram was opened, the South Waterfront area was a little used industrial area, cut off from the rest of the region by Interstate 5. Since opening, the tram has provided 16 million trips, with about 9,500 trips a day on an average weekday. “When I realized that the Gibbs Neighborhood would not have access to the Tram or the bike path or the river, I went to work to find the funds so that we could build a bridge over the 13 lanes of traffic and connect them to their neighbors and public services,” said former Congresswoman Darlene Hooley. 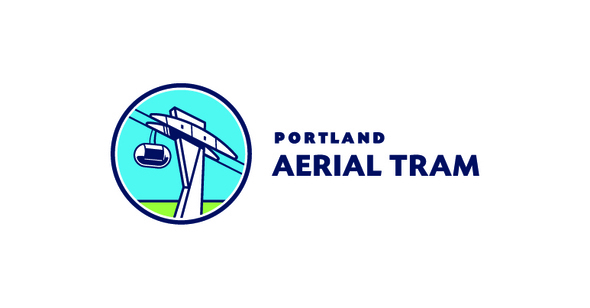 “The Portland Aerial Tram has been a key component in the development of the South Waterfront and the continued growth of OHSU as a major health and science research university. Since the Tram opened 10 years ago, OHSU has added more than 4,000 jobs and invested more than $1 billion in new buildings in the South Waterfront. Without the rapid and reliable transportation provided by the Tram, OHSU’s expansion to the South Waterfront would not have been possible,” said Brian Newman, OHSU vice president for campus development and administration. The dignitaries were joined by dozens of people who use the tram on a daily basis. They gathered at the Center for Health & Healing, the first OHSU medical building in South Waterfront, located next to the lower tram landing. As part of the celebration, the Portland Aerial Tram will throw a Community Day Celebration on Saturday, January 28th, featuring family activities, historical displays, and presentations on the construction of the Tram and the future of South Waterfront. Members of the public will also be able to participate in guided walks, enjoy expert talks and view special Tram Anniversary memorabilia. The event is free and takes place from 10 a.m. to 3 p.m.